We’d love your help. Let us know what’s wrong with this preview of A World Without Color by Bernard Jan.
Buy this heartfelt and moving novella. To ask other readers questions about A World Without Color, please sign up. A World Without Color: A True Story of the Last Three Days with my Cat is a short memoir about one family’s experience of losing a beloved pet, a cat named Marcel. Bernard Jan lays out his experience with Marcel’s last 3 days of life as the emotions pour out of him on screen. I found this book on Goodreads this morning after reading one of Bernard Jan’s blog posts and it sounded like a must read. As a person who has many pets, I sometimes think about what it’ll be like when the time comes to let them go. I wonder when, how, and what sort of choices I’ll have to make. In this book, the author tells his whole story about what his cat Marcel’s last 3 days were like interlaced with memories of the past. He writes about the effects of losing a best friend for himself and his family. At multiple times I cried and could feel his emotions. He expresses what he’s feeling physically, his thoughts and emotions, everything so raw and real. Despite the sadness, I love the way this author writes. At first, I wasn’t sure about the additional ending. I felt like the fact that it was a true story meant that it should end the way the real story did, but it was unique that the author included an alternative ending for those that wanted a different outcome. You can get this for $1.99 right now on Amazon. Kindle Unlimited Members read for FREE. When I started reading A World Without Color, from the very first few sentences I knew what it would be like and I was very emotional from beginning to end. Bernard Jan put into this short novella, a lifetime spent with his beloved Marcel and describes how the very last days of Marcel's life were prior to his passing at fourteen plus years old. I am a cat owner and found myself identifying with the authors feelings and grieving process. I am not sure why more have not taken the time to experienc When I started reading A World Without Color, from the very first few sentences I knew what it would be like and I was very emotional from beginning to end. Bernard Jan put into this short novella, a lifetime spent with his beloved Marcel and describes how the very last days of Marcel's life were prior to his passing at fourteen plus years old. I am a cat owner and found myself identifying with the authors feelings and grieving process. I am not sure why more have not taken the time to experience this book and I see that many have marked it to read. The author says to Marcel "you are here, you exist beside me, and I am grateful for your life." Very heart-wrenching in his thoughts to Marcel. " You represent what is worthy and should be fought for: you are a symbol of incorruptibility, benevolence, innocence, purity, kindness, sincerity, selflessness, goodness, friendship, and love, qualities that should inhabit every corner of this planet. If 'we' were all like you, we wouldn't need redemption." Such powerful words to write. A special thanks to Mischenko and Starjustin. After reading both their deeply moving reviews- I wanted to purchase this book for our younger daughter who has two cats. Paul and I have put two cats down ourselves over the past 40 years. The pain - sadness - and grief lingered for a long time. In this short story we are witness to a beautiful love story between a cat and his owner and the family they are a part of. Gut wrenching loss when death comes. Always - always - so A special thanks to Mischenko and Starjustin. After reading both their deeply moving reviews- I wanted to purchase this book for our younger daughter who has two cats. Always - always - sorry for the loss of our pets. So sorry for the several friends on this site who've who have 'recently' lost their beloved cat or dog. My thoughts are with you. When you lose a cherished pet, sometimes the loss is so inexplicable, all you can do is cry. When I had to let go of my ten-year-old shiba inu just about a year ago, it was a painful 2-week process. It is nearly impossible to put into words for most people how you go about making the decision to end an animal's pain, begin your own, and suffer the consequences. Not impossible tho, as proven by Bernard Jan in the second book of his I've read this year. Jan lost his beloved cat, Marcel, and shares When you lose a cherished pet, sometimes the loss is so inexplicable, all you can do is cry. When I had to let go of my ten-year-old shiba inu just about a year ago, it was a painful 2-week process. It is nearly impossible to put into words for most people how you go about making the decision to end an animal's pain, begin your own, and suffer the consequences. Not impossible tho, as proven by Bernard Jan in the second book of his I've read this year. Jan lost his beloved cat, Marcel, and shares the emotional turmoil he encountered throughout the process. This book is ~100 pages covering the three days when Jan and his family know they have to say goodbye. His words and imagery are stellar... honestly... he captures all those emotions pet-parents go through trying to rationalize our decisions, understand the whys, convince ourselves we will be okay, and determine how or if we can lean on anyone around us. By showcasing Marcel's movements and struggles, we see the pain Jan's family has gone through. It is visceral and constant. It is harsh and definitive. It is widespread and menacing. I had to put the book down several times as it brought me to tears thinking of my own pet loss this year. Jan is brave. He shares everything from the moment he adopted the cat to the treasures of their ~15 year life together. As a younger guy suffering through this, he's developing all his emotions and reactions to something he's truly not ready to handle. I say this not because Jan's not strong enough (he is), but because this is one of his earliest life experiences dealing with death. It is never easy. But to write about it and share those feelings, notions, worries, and sighs of relief when it's all over (even tho it really isn't) is remarkable. Translated into English, the creators of this version are masterful in their descriptions. The comparisons... similes... references... moments... all bring readers to experience as closely as possible what the author experienced. If you've never gone thru it, it's probably not fully apparent. Human loss is different... agreeably more harsh in most circumstances, but when your pet cannot talk to tell you what kind of pain they have, you are the sole person responsible for deciding how to help them. “My love, if you go away in a few days, the world will lose its colors and darken like the land of Mordor. The story will resonate most acutely with those that have pets where they have developed a relationship which integrates them as part of the family. It is very emotive for those that have experienced a similar situation of loss. The poetic language makes it more personal and heartfelt, and it feels like an intimate letter, a gift, which will last as a final testament to his love for Marcel. 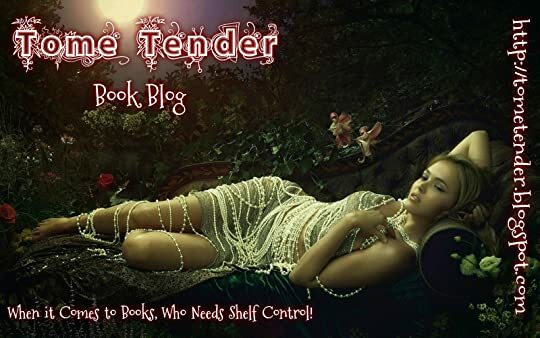 The power of this book is that it opens an old wound or fear, a wound that you don’t want to close, a wound that itches and needs to be scratched. You need to bleed! Again! I’m not an animal lover, my wife and children are. I’m more the favourite Uncle rather than immediate family. We’ve always homed abandoned cats that seem to find their way to our house – they just show up at the back door, scrawny and riddled with fleas. Perhaps it’s my wife’s love of animals and the bond she quickly forms that has prevented me from establishing any unique connections. The last addition was (is) an extremely nervous and timid stray, that surprisingly only I was able to pet and convince to come indoors. We realised she was pregnant while not much more than a kitten herself, and when it came time to give birth, we kept her indoors in her own little shelter, and I stayed with her during the 8-hour labour. The advice from those that knew better was not to interfere, otherwise, the mother may abandon her kittens, especially considering she was wild. During the first birth, the kitten died as the mother seemed confused and unable to manage her new-born. The second kitten also died as it was only half delivered before the contractions stopped and the mother gave up exhausted. I couldn’t watch this happen again and when the third birth started I actively got involved and physically helped deliver Jasmine. After the delivery, I ruptured her amniotic sac and massaged her chest until she breathed properly and moved. A process I repeated for another 2 kittens – Leo and Jive. Each kitten I presented to the mother and helped her to clean and care for them. She turned out to be a wonderful mother and overnight I became a midwife and stepfather. Watching them grow up was so hilarious, so amazing and so precious. Jasmine was always the first to come to me as I sat on the floor, and the last to leave. She had an ongoing fascination with the laces of my trainers and so many other little memories. For the last 6 months, her routine was to go outside after breakfast and after a few hours come round to my home office window, whereby I would pick her up and lift her through the window. We would spend the next 15 minutes head to head and under my chin, receiving a lot of petting, with purring and other sounds of delight filling the air. I would get my hand and arm licked in return for a kiss on the top of her head. She lay at the end of my desk on a blanket for most of the working day, only getting up to repeat the petting every few hours or want to be cuddled in my arms. She would follow me around the house if I moved. At this point, she ceased being a cat and became my companion, my sticking plaster, my family. She was amazingly affectionate, content, and devoted to our special relationship. If I left for work she would lie outside my office door until my car pulled into the driveway, and then she would meet me as I opened the door. I would pick her up and we would hug each other – ‘I was only gone a short while’, I would explain. On 16th May this year, a car knocked her down and killed her – 5 days before her first birthday. I found her body at the side of the road still slightly warm, blood in her mouth still wet, and her beautiful little face still so perfect. My brain shut down in shock, my gut was churned-up in nauseating pain and my heart was ripped apart. I struggled to remember how to breathe. I was too stunned to cry but the next morning while we were burying her I held her in my arms one last time and soaked her fur with tears that I didn’t even know where flooding down my face. Every day I glance at the end of my desk and picture her lying there looking up at me asking the question, ‘are you finished yet?’ ‘What about another cuddle?’ Jasmine, I miss you! If you have ever owned and faced the death of a pet, lived through the agony of knowing that “it is time," or, if you have a heart, live and breathe, grab some tissues, just in case. Bernard Jan has taken a piece of his own heart and soul and put down in words, his feelings, his thoughts, and the utter devastation of the raw loss of his beloved pet. Saying good-bye and “putting down” a pet who is suffering is one of the greatest nightmares a person can face. Is it really time? What if….what if…w If you have ever owned and faced the death of a pet, lived through the agony of knowing that “it is time," or, if you have a heart, live and breathe, grab some tissues, just in case. Bernard Jan has taken a piece of his own heart and soul and put down in words, his feelings, his thoughts, and the utter devastation of the raw loss of his beloved pet. Saying good-bye and “putting down” a pet who is suffering is one of the greatest nightmares a person can face. Is it really time? What if….what if…what if…???? After the “deed” is done, the guilt is overwhelming, the grief is like acid and the empty hole in one’s heart is horrendous. 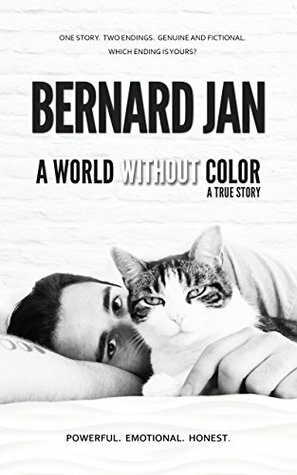 Bernard Jan’s A WORLD WITHOUT COLOR: A TRUE STORY OF THE LAST THREE DAYS WITH MY CAT is the true story of the last painful days of his cat and friend, Marcelle’s life. Mr. Jan finished his story with two endings, one the truth, one, ‘what if’ in the imaginings of anyone who would do anything to undo the loss they face. Short, powerful, honest and heart-wrenching, Bernard Jan has only written what most of us cannot express, the pain of the loss of a pet. That pain is real and it can crush the soul. Beautifully written, in just a few words, Bernard Jan has given voice to everyone who has experienced his same loss. I received this copy from Bernard Jan in exchange for my honest review. I received a free eBook copy of this book in exchange of an honest review. Firstly, I would live to give a huge thank you to Bernard Jan, the author of this incredible and heart-lifting novel, for sending me a review copy! A World Without Colour: A True Story Of the Last Three Days With My Cat is an emotional novella and memoir about his last three days with his cat. This was a short read which only made it more enjoyable- it made it honest and not exaggerated. I truly enjoyed the main concept of this novella and how truthful it was. The author placed his raw thoughts into words and produced a moving read. The novella felt poetic and moved me to tears. The way each thought and feeling was described was simply incredible. It takes a lot of skill to describe emotions and Bernard Jan has mastered this skill! I myself have grown up with many pets including cats. This truly had me re-evaluate my own experience when several of my cats died and had me realise how tragic it truly was. I then understood why my family was so upset. Animals are speechless but have feelings and emotions just as a human might do and Bernard Jan has proven that. The second-person writing style made the novella more persona and, as a reader, I could see things from Marcel’s (the beautiful cat) point of view. I was so captivated by the author’s description of pain. It was beautiful yet tragic and this was truly incredible. My thoughts are with Bernard Jan and his family. The events he went through have honestly moved me and it was very difficult to read this book in one sitting! I highly recommend this book and I hope that everyone takes a chance to read it! I also hope to hear more from this incredible author who has become one of my greatest inspirations. I received a review copy of this book and this is one truly emotional story! I must agree, the connection that forms between a pet and its master is formidable. In this book, we have an analysis of this bound, to its most sensitive aspects. So I can only appreciate what the author managed to express in this amount of pages. The writing is very emotional and it depicts very well his emotions and conflict. Any pet owner will identify with his story and with all he has had to deal with. I used to be I received a review copy of this book and this is one truly emotional story! I must agree, the connection that forms between a pet and its master is formidable. In this book, we have an analysis of this bound, to its most sensitive aspects. So I can only appreciate what the author managed to express in this amount of pages. The writing is very emotional and it depicts very well his emotions and conflict. Any pet owner will identify with his story and with all he has had to deal with. I used to be an owner as well, so I can relate to some of these states. As well, the connection he has with Marcel is presented in detail. Marcel is no longer a cat, but a piece of his heart, a life companion. All the events they had to go through together are heartwarming at least. There comes a point in the book where I must admit I stopped enjoying it that much. While I understand that Marcel is important to our narrator and I can understand the attachment he has for him (due to the large amount of sentiments included in the story, I cannot address the cat as “it” as I feel I would offend the author’s intentions), I believe it is pushed to the extreme a little bit. I would address some of those lines to my boyfriend, or husband. I believe, as much as one would love his or her pet companion, addressing it with “my love” is a little too much. Death never arrives easy. Here, Bernard Jan chronicles the final stage in the life of a cat named Marcel, as Bernard, his family, and Marcel face Marcel’s death. The capacity for the depth of bond in an interspecies way has always amazed me. This has been illustrated to me very recently with the death of my own cat, Poppy. She was the runt of the litter, not meant to survive, smaller than my undersized palm when she arrived, but she lived for just about twenty-five years. I relay my story becaus Death never arrives easy. Here, Bernard Jan chronicles the final stage in the life of a cat named Marcel, as Bernard, his family, and Marcel face Marcel’s death. The capacity for the depth of bond in an interspecies way has always amazed me. This has been illustrated to me very recently with the death of my own cat, Poppy. She was the runt of the litter, not meant to survive, smaller than my undersized palm when she arrived, but she lived for just about twenty-five years. I relay my story because this short book reflects the dilemmas and conflicted emotions faced when dealing with, and having ultimate responsibility for, the final breath of a creature greatly loved. There is a default position, somewhat hanging in the ether, that over sentimentality directed towards non-human animals is indulgent and perhaps infantile: the “just get another cat” brigade, like one furry body is as interchangeable as any other, a vessel to be exploited for a particular purpose then exchanged for another to fulfil that role. The reality is more complex, to say the least. The novella is unashamed in validating the high emotions involved when dealing with any loss. Every loss we experience, even honouring the multitude commonalities, has its own very particular bite and colour. Once a long time ago I had a cat called Pugsy who meant the world to me. I rescued her from the “bag-and-river thing” when she was but a scrawny baby and she ended up living a long and happy life in our household, making our days so much brighter. This book reminded me of her, taking me back if only for a moment to my childhood when my beloved Pugsy was alive. When the writing is this good, the mind travels through space and time and the heart follows. Have you ever loved someone so much that you could not envision your life without them? A love so powerful that it continuously permeated your thoughts and intensified your happiness and contentment? Have you ever felt that way about someone? What if that someone was a cat? Have you changed your mind? If not, then I am guessing you are a true animal lover, similar to Bernard Jan who has penned this gripping and emotional novella. A World Without Color is about a cat named Marcel and his owner, Be Have you ever loved someone so much that you could not envision your life without them? A love so powerful that it continuously permeated your thoughts and intensified your happiness and contentment? Have you ever felt that way about someone? What if that someone was a cat? Have you changed your mind? If not, then I am guessing you are a true animal lover, similar to Bernard Jan who has penned this gripping and emotional novella. A World Without Color is about a cat named Marcel and his owner, Bernard Jan, who is the author of the work. Essentially, the book follows the author’s personal journey with grief as he shares the last three days of Marcel’s life. Marcel had been sick for a while and it had reached a point where the illness and pain could no longer be tolerated. The peace and tranquility offered by death was simply too strong an opportunity to ignore. However, it is not simply a tale which chronicles the last three days of Marcel’s life. Indeed, it is about the raw flood of emotions which Bernard feels as he helps Marcel along this journey to death. The unconditional love which he has for Marcel is not only shown in his sorrowful grief and guilt as he helps Marcel find peace and release, but also in the joyful memories and flashbacks of their past time together. The love and importance of Marcel is also revealed in the relationship Bernard’s parents have with him. They too are grieving the loss of a family member in their own way. The saying, “everyone grieves differently” comes to mind. Bernard Jan’s novella is guaranteed to evoke powerful emotions in the reader. More than once I was reading the words through the fog of my own tears. This is not only due to the compelling theme of unconditional love, but can also be attributed to the author’s poetic use of language which help to garner these feelings. His descriptions and thoughts are beautiful and moving. From the joyful flashbacks to the inevitable death of Marcel, the scenes are completely enchanting. When I first began reading this novella I believed it would really only resonate with animal lovers. Indeed, true animal lovers understand that our animals are family members and we love them as much as any human. Those who have not experienced such relationships could not possibly relate to this book… right? Wrong! The theme of unconditional love for another being is captivating and all encompassing. It will click an emotional nerve in anyone who has the good fortune to read it. When I write reviews, I am very careful to never provide spoilers. That being said, the reader should be prepared for an unusual ending to the book which will require deep thought. It will appeal to some and not to others. Personally, it worked for me as I found it matched the turbulent and emotional nature of the story. I was also able to personally relate to the unbearable depth and despair of grief. Book about loss of companion, and also the saddest sadness of any kind that author has experienced. All sensitive, intelligent people do feel that intensity of pain in such loss. Books like this makes you appreciate being alive and being able to feel ups and downs wave of pulse in life stream. I'm glad that this story is a book because reading it in silence is like prayer, like tribute to this relationship and recognition that animal friends are just part of the family. Ps "got a free copy from th Book about loss of companion, and also the saddest sadness of any kind that author has experienced. All sensitive, intelligent people do feel that intensity of pain in such loss. Books like this makes you appreciate being alive and being able to feel ups and downs wave of pulse in life stream. Jan Bernard's book "A World Without Color: A True Story Of the Last Three Days With My Cat" is not for everyone, but pet owners as well as people who have experienced tremendous loss, like somebody dying of cancer will probably love his words. At the end of his book, Bernard writes, "Writing this book was a question of survival, it was not an option or a choice. This story is personal and very important to me, so thank you for reading it" which is probably exactly how named groups of people feel Jan Bernard's book "A World Without Color: A True Story Of the Last Three Days With My Cat" is not for everyone, but pet owners as well as people who have experienced tremendous loss, like somebody dying of cancer will probably love his words. At the end of his book, Bernard writes, "Writing this book was a question of survival, it was not an option or a choice. This story is personal and very important to me, so thank you for reading it" which is probably exactly how named groups of people feel about their losses; in a way Bernard encourages them to do as he did - put their thoughts down on paper, celebrate past days and learn to cope with the inevitable. Bernard's story of Marcel's (his cat's) last days is beautiful and sad. He celebrates every tiny glimmer of hope, "... You wanted to boast to Saša that you were doing better and let him know how much his visits mean to you and how much you appreciate what he does for you..."; alas, to no avail. (p.10) "... the bookkeeping service where I worked for three years before I turned that page in life and became fully active in the animal protection and rights association..."
Living with Marcel made the author realize what he really wanted to do and he went after it. It's a more humble expression of the concept "Follow your Dreams" which is uttered daily in the United States, yet so few do. (p.14) "... humans have a choice: the choice between good and evil, compassion and cruelty, empathy and ignoring, and we do not use it. We do not use common sense because our stomach blinds our mind and everything flows through it. At least most of us..."
And, the final question, "... If you, my star, die out, I don’t know what will happen to this constellation called your family..."
Having been there, having to put down my first cat Dixie, I know how it feels but eventually I learned that Bernard is wrong in thinking "... Adopting someone after you, after all we’ve been through together, seems like a betrayal..." and adopted first Artemis and then Yin-Yang as a playmate for Artemis. All three, the late Dixie, as well as now Artemis and Yin-Yang are part of my family. The author writes he is a poet too. Well, I believe it, his book is poetic and beautiful. Highly recommended to cat lovers and people who have experienced tremendous loss. I am both. I initially spotted A World Without Color when author Rebecca Gransden reviewed it on Goodreads. She loved this memoir and I had loved her books so I hoped Bernard Jan's writing would appeal to me as much as it did to Rebecca. It certainly did! A World Without Color is Bernard Jan's intensely emotional memories of his cat, Marcel's, last three days and nights of life. Jan's writing is raw with grief yet also beautifully sentimental. He remembers happy moments in Marcel's life and how this cat became as much as part of the family as if he were human. I found myself sometimes welling up as Jan's words brought back memories of my childhood cat. I did often feel upset as I read his words and it's a measure of his delicate touch as a writer that, despite the heartfelt emotion displayed throughout A World Without Color, the memoir is ultimately uplifting and I came away from it almost with a sense of peace at having worked through more of my own bereavement losses, both animal and human. The writing style of the author is simply beautiful; honest, poetic and full of emotions. I could feel his love for his dear cat, Marcel, and it made me think that some humans aren't capable to feel the same for another human being. And it is really a pity. I knew from the beginning that it will be an emotional, heartbreaking story, but I was impressed with how the author managed to transmit some of his thoughts and I do applaud him for the strong messages. Yes, it is a sad novella and I could f The writing style of the author is simply beautiful; honest, poetic and full of emotions. I could feel his love for his dear cat, Marcel, and it made me think that some humans aren't capable to feel the same for another human being. And it is really a pity. I knew from the beginning that it will be an emotional, heartbreaking story, but I was impressed with how the author managed to transmit some of his thoughts and I do applaud him for the strong messages. Yes, it is a sad novella and I could feel tears in the corner of my eyes quite often. I felt lucky I never got to experience the tragic past days, months of pain, the loss of a pet, but I also felt admiration for what the author stands for. I am sure that Marcel was the happiest cat in the world. If only all the animals would face the same destiny. Or humans? We can do much more to make this world a better place. What is stopping us? This book is incredibly well written the only reason i gave it 4 stars instead of 5 is purely down to how hard and upsetting it was to read which is just a credit to how well it was written. Unfortunately it was that upsetting to read i nearly struggled to sit and carry on which is why i had to knock it down a star. Well worth a read if you feel as though you are up to it. Bernard is standing vigil over his terminally ill cat, caressing it, helping it feed, watching it, remembering the good days they had. He fleetingly considers putting it down to relieve its pain and misery, but decided against it. As long as the cat had life and a will to fight, he would let it live. The cat helped him cope with his grandmother’s dementia, and now, it was his turn to stand watch over his dearest pet. Watching the cat, he reminisces about the good times they had together. Realizi Bernard is standing vigil over his terminally ill cat, caressing it, helping it feed, watching it, remembering the good days they had. He fleetingly considers putting it down to relieve its pain and misery, but decided against it. As long as the cat had life and a will to fight, he would let it live. The cat helped him cope with his grandmother’s dementia, and now, it was his turn to stand watch over his dearest pet. Watching the cat, he reminisces about the good times they had together. Realizing the cat will die soon, he feels some color and vibrancy will vanish from the world. He wondered if cats had dreams and what his cat dreamt about in its final days. He decides he will never get another pet, the pain of letting go after years of attachment would be too painful. Bernard finds the process of putting down his cat, making its passing a beautiful thing, particularly painful. Afterward, he and has his family offer each other mutual support. In ‘A World Without Color’, a moment of true life, Bernard Jan takes readers through a somber and thoughtful journey of mental anguish, reflection, and shared suffering over a beloved pet he cannot save. It is a journey filled with vivid images, little anecdotes of shared events, regrets and helplessness to alter time. It is also a dark journey which some readers will not want to face, or have already faced after losing a loved one, but Bernard Jan walks readers through his sorrow with unusual sensitivity and insight. His emotions are palpable, and I was caught up in his sorrow, watching his pet slowly die, unable to prevent its passing. This short novella is beautifully written and easy to read, leaving me pondering the fleeting nature of time and life. An usually private, and honest narrative delving into the relationship between a beloved cat and a human. This is not a "pet" story. Rather, it is a love story of a giving friendship that takes us well past the every day and into the deepest part of what makes humans and other animals emotional beings. I was unsure as I read how I felt about this, never having experienced this depth with an animal, because I grew up on a farm. You can't get too close, not ever. Allowing the words to wash over me An usually private, and honest narrative delving into the relationship between a beloved cat and a human. Allowing the words to wash over me, the poetic rendering of war outside the windows, the departure of a writer's flowery artiface to potentially over explain a relationship was thankfully not abused and I connected to the purity of the words themselves. For some reason as I read, I was reminded of the tone of the novel, "It's a Brave, New World." The heartbreaking aspects of animal cruelty, war and a search for peace, external and internal comes into play. This is not the same genre as the book I compared it to, but the message is there. I recommend this short story to anyone who has ever lost a beloved pet, but also to the elevated reader who enjoys a story with a strong undercurrent of social responsibility and a dystopian reflection of our world, as I often view it myself. Croatian author Bernard Jan approached me on Twitter and offered me a copy of his memoir, A World Without Color, as a free .mobi file in exchange for an honest review. This story is a heartwarming and emotional ode to the last three days that the author spent with his cat, Marcel. Although I read far more fiction than nonfiction, I enjoyed the book and was honored that Mr. Jan would offer to share such a personal memoir with me and the rest of the world. To see my full review, complete with a list Croatian author Bernard Jan approached me on Twitter and offered me a copy of his memoir, A World Without Color, as a free .mobi file in exchange for an honest review. DO NOT READ UNLESS: you are prepared to ball your eyes out! Undoubtedly, Bernard Jan wrote A World Without Colour with his heart-blood. The question that remains, when reading his short opus, is if it would have been better to wait for a little longer before writing it. Sometimes, when one writes on open wounds, the danger looms that sentiment clouds the writer’s potential. That is a pity. Having said that, I must add my condolences. It is difficult to lose loved ones. Bernard Jan shows courage in sharing that agony, but the question remains what time and distance would have achieved in refining his writing. A World Without Color A True Story by Bernard Jan, 68 pages, July 1st 2017, Genre: Short Reads/Cats. Warning: May Contain Spoilers. As a cat lover, I had to check out this short read. This is a love story. It’s not a romance. Nevertheless, it’s a story about a powerful, moving, enduring love. It’s all the more meaningful as it is a true story. Cat lovers will see their own experiences and feelings mirrored here. This story is an intense testament to the bond humans A World Without Color A True Story by Bernard Jan, 68 pages, July 1st 2017, Genre: Short Reads/Cats. Warning: May Contain Spoilers. As a cat lover, I had to check out this short read. This is a love story. It’s not a romance. Nevertheless, it’s a story about a powerful, moving, enduring love. It’s all the more meaningful as it is a true story. Cat lovers will see their own experiences and feelings mirrored here. This story is an intense testament to the bond humans feel with our pets. Bernard Jan describes the life of his beloved cat with such poignancy. His writing style is straightforward and emotionally moving. Happier times with Marcel brought a smile to my lips, while his deteriorating decline brought tears to my eyes. Most moving of all was the author’s profound love, devotion, and grief for his cat. Our pets live, love, and pass on, but they live forever in our hearts. My only complaint is that the author provided two alternate endings, leaving the reader to choose how the reader prefers the tale to end. I have never liked this sort of ending. Since this is a true story, I would have preferred the author stick with the true ending. For this reader, that would have made the book even more meaningful. "You curl up in your new hideout, and the soft light of April afternoon washes your worn-out body. You are aware of my closeness. you confirm hat with a gentle sigh while my palm tenderly slide down your fur. You still like my touch, although pain is what you mostly feel"
The author made a brilliant job at sucking you into the book at page 1! You feel what he felt! Gladly I cant cry to books..But if I could...I totallly would! Just go and read this book! This isn’t a long book, but I had to read it a little piece at a time. It’s really heartbreaking stuff. If you’ve ever loved and lost a pet, you’ll know exactly where Jan is coming from, and he articulates it perfectly. Oh, the feels! All of them! One of the things that got me was how he kicks himself for tiny, seemingly inconsequential pleasures denied while there was still time. He didn’t go pick some immature grass for his feline friend to chew on, and can’t get over the fact that he didn’t. Yeah. Years later, I still know that feeling. I’m sorry, George LaForge. A heartbreaking account of the last days spent with a beloved friend that takes the reader through a rollercoaster of emotions. As each stage of Marcel’s last days unfolded, I was gripped with deep sadness and could relate to the devastation of loss. I applaud the author for sharing this very honest experience. Iako nije posve stilski savršena, ova je knjiga jedna od najpotresnijih koje sam ikad pročitao i ostavlja dubok dojam na čitatelja. U tom procesu piščeva duboka trauma postaje i čitateljeva. Iako ova knjiga zbog toga pruža vrlo bolno čitalačko iskustvo, preporučio bih je svakome. My home is empty without her. My life is empty without her. My world is empty without her. A World Without Color -- such a proper, yet painfully accurate title. So graceful and truthful, hauntingly beautiful. It implies loss, grief, the lack of; yet, it is soft, gently bringing in you into its meaning -- a miserable existence, which remains assigned to this here realm of the living. I started reading this book immediately after finding out that she might not last longer than a month or two, end of December last year. I needed some comfort, some fellow human (other than myself and my significant other), who had dealt with it by creating art. After several pages I gave up. It was too much to bear, too close to home, mirror image almost; although at that point, my cat was not as severely hurting as the author’s. She was not in pain, she was still playful, she still greeted us at the entrance, excited we were home. We dedicated every second of our spare time to cuddling with her, loving her. She knew she was feeling better from all the medicine I was giving her, and she never held a grudge regarding my forceful ways. She was, and until last minute remained, very proper, very cutie. So we cuddled. We cuddled hard. We always cuddled hard. We were going to take advantage of the time we had left. She lasted six month, to the amazement of the veterinarians who cared for her. It is small comfort to hear them tell us that we are doing an amazing job with her, that we kept her alive, in relative comfort, longer than they’ve ever could have imagined, or have witnessed. The last week of June she finally stopped eating, as her kidneys were no longer processing protein. She slowly stopped drinking water. And two days before her final hour, I went back to reading this book, while petting her, crying over her (trying to contain myself, not wanting her to see me like that, fairly unsuccessfully), already missing her, as I knew the end is very near. I read up to a point of the author says goodbye to his darling Marcel. I couldn't go on. The aftermath was awaiting me, and I simply couldn't follow beyond that point. Why did I put myself through something that intense, during already difficult circumstances? I’m not sure. My subconsciousness needed it I suppose, as a buffer -- it was possibly a way to give me strength to make the decision that was inevitable without making her suffer longer than necessary, while at the same time needing to make sure she will not get better, like she has so many times before. Only two days later, as it became obvious she was now in pain, her eyes and meows asking for relief (our lovely was always a great, master communicator -- her eyes were telling and serious, her purring weakened in power, but never in spirit), we had to make the same decision. We proudly cuddle until last minute. We cuddle hard, we always have. We said goodbye as we sang her cuddle song to her. We watched as her beautiful green eyes had turned to haze, to grey, to black; I held her in my arms on the way home, one last time. I gave her the rites of Orthodox Christians -- although I am not religious and have my own sense of spirituality that can best be described as “eclectic”, for the first time it made sense to hold a twenty-four hour vigil, it was clear why to light candles, kiss her lifeless body over and over, and feel her sweet smelling fur through my fingers. The rites were modified slightly to our life with her, which I feel made them even more meaningful. Rituals and rites are process methods. Three days later, I finally finished the book. I was ready to sob and grieve with the author. To reject life, and color. A World Without Colour is a beautiful, heart-wrenching story of the author's final three days with his beloved cat, Marcel. His writing captures the agony of watching someone we love suffering and knowing that there is nothing we can do to help them. Sometimes we meet an animal who captures our heart and becomes like a best friend or sibling to us. To lose them inflicts indescribable pain - it is sheer, absolute hell when one we love passes away and must leave us forever. Despite how sad this st A World Without Colour is a beautiful, heart-wrenching story of the author's final three days with his beloved cat, Marcel. His writing captures the agony of watching someone we love suffering and knowing that there is nothing we can do to help them. Sometimes we meet an animal who captures our heart and becomes like a best friend or sibling to us. To lose them inflicts indescribable pain - it is sheer, absolute hell when one we love passes away and must leave us forever. Despite how sad this story is, I loved it because I could relate to the author's deep, horrific sense of loss once reality hit him that his cat, his dear friend, is truly dying. Facing any death is a total existential crisis - to accept that one who was once so full of life can suddenly no longer exist is one of the most difficult parts of life. This story paints such a beautiful picture of the love and devotion between a human and their animal companion. Marcel is a fighter. Despite his deteriorating body, he holds on to what remains of his life, always fighting to get up on his own and reach his bowls to drink, purring to show Bernard, his owner, that he appreciates him and his company. The love from an animal is such a remarkable, special thing for anyone to experience. But it is so hard when they go. I found it strangely comforting to know that other people have felt profound loss after losing their beloved pet. You will never stop missing them, no never, but in time, the incurable agony gradually fades away until one day you can think back to the happy memories you had with them and smile at the fact that life gifted you with such a wonderful connection with someone. Bernard Jan is an author – a novelist and a poet – from Croatia, seeking representation of a literary agent for his work translated into English. As an indie author, he has published two books in English to this day: A World Without Color, a moving and honest novella about the last three days he spent with his cat, and the gentle story that sheds light on the plight of baby seals in Canada hunted for their fur Look for Me Under the Rainbow. He has written his first books at the beginning of war in Croatia in 1991, amidst the air alerts and illusory attempts when he wanted to believe and think life is normal, that everything is alright with the world. In Croatian he has published five novels, two novellas, one book of poems and an essay, along with several articles. In his lifespan he has written and published five novels, two novellas, one book of poems and an essay in Croatian. His passion for entertainment resulted in his becoming a partner of Tom's Music Place, which was established in 2009 by his friend Thomas Carley Jr. with the goal to respect the music. His need to help others came to the fore during his volunteering years: first in advocating for environmental protection, and then his volunteering, activism, work and advocacy for animal rights to the present day. He did some volunteering for the refugees, too, because suffering does not know about the borders and when it comes within your reach, in your yard, you simply have to do something. As part of his animal advocacy activities, Bernard Jan had a great honor and pleasure to translate "Eternal Treblinka: Our Treatment of Animals and the Holocaust" by Charles Patterson into Croatian language. Connect with Bernard Jan on LinkedIn. Connect with Bernard Jan on YouTube. Follow Bernard Jan on Steemit.